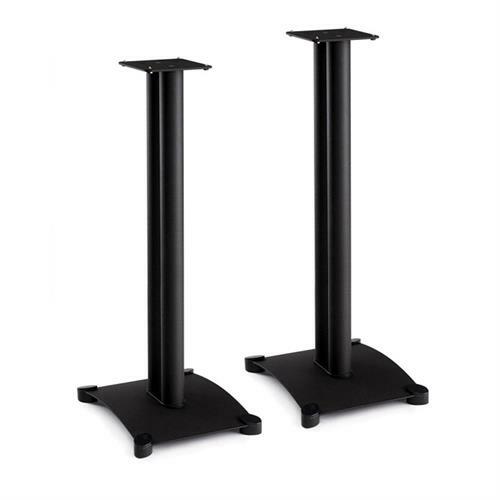 More on the Sanus Steel Foundations Steel Base 34 inch Speaker Stand SF34-B1 below. 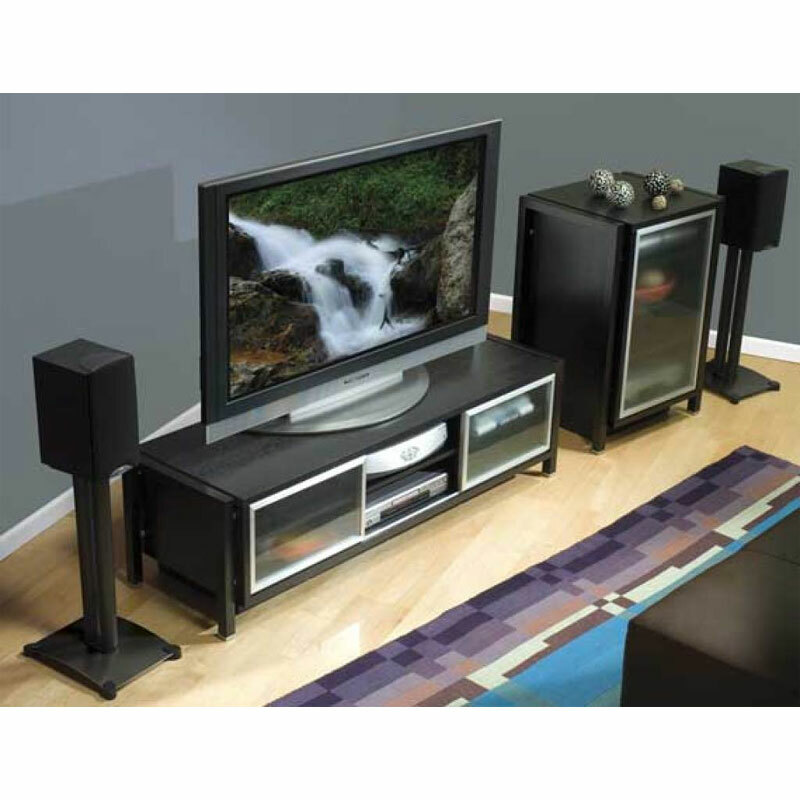 Contoured, 10-gauge steel top and base plates which minimize lost energy and optimize sound performance. Adjustable carpet spikes and rubber feet to accommodate any flooring. A unique resonance-damping ring, sandwiched between the top plate and pillars, to improve audio quality. Precision allen-head bolts allow higher torque capability for maximum structural integrity. *Also available in 22, 26 and 30" models. See "Related Products" below for more information. Top Plate Dimensions: 6" x 6.5"
Base Plate Dimensions: 11.75" x 14.75"